We have launched an online booking service where you can book your boiler services and gas safety appointments with just a few clicks! It is important to service your boiler annually as this can detect any minor problems that may cause bigger and more costly repairs in future. It also helps with keeping your boiler running efficiently which will mean it will use less energy to run and in turn saves you money. As well as running efficiently the service will also ensure your boiler is running safely, each year there are around 25 accidental deaths caused by carbon monoxide poisoning. Servicing your boiler annually can give you peace of mind that you are safe and can flag any issues that may have arisen so they can be repaired. Finally manufactures require your boiler to be serviced annually to keep the warranty active, if you do not keep up with this you may not be able to claim back any money spent on repairs, so make sure you book in time! 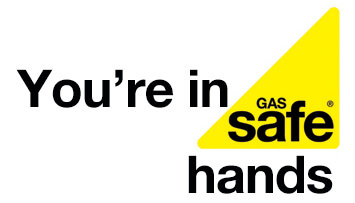 It is advised you should have a gas safety check done in your home annually by a gas safe registered engineer, if you are a landlord then this is required by law. If a landlord fails to comply and does not provide the CP12 for their tenants they could fave heavy fines or imprisonment. The engineer checks your gas meter, gas pipes, boiler, flue, gas cookers/hobs and fireplace. This is to ensure all is in working order and will raise any repairs that may need to be made. The gas safe engineer then issues a gas safety certificate (CP12). We hope our new booking system makes the job of booking an annual appointment quicker and easier for you.